Miller page 3 - neon beer sign tubes & parts. Miller neon beer sign tubes. These are replacement parts only, not signs. Any signs pictured are for reference only. All tubes are new and unused unless noted otherwise. Some photos of lighted tubes don't look right but they are fine. Red tube for a Miller Lite congas sign, used with some coating nicks. NEW Red Dog dog sign dog face in clear glass (not coated). Bright red coated Red Dog neon face, used with scrapes. 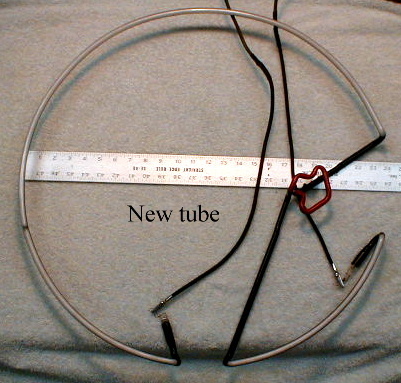 New RED tube for a Red Dog neon, used in coated glass. I only have these in bright red as pictured. DOG tube for a Red Dog neon sign in clear glass. DOG tube for a Red Dog neon sign in red glass. ALSO have some in red coated. Dog face w/G tube / part for a vertical Red Dog Neon sign . RE part for a vertical Red Dog Neon beer sign . Red coated border tube for a Icehouse (Ice House) neon beer sign, has scrapes & nicks. Clear red border tube / part for a Icehouse (Ice House) neon beer sign. OUSE part for an IceHouse neon beer sign, lights good, back paint mostly flaked off. MGD tube for a Miller Genuine Draft neon beer sign. 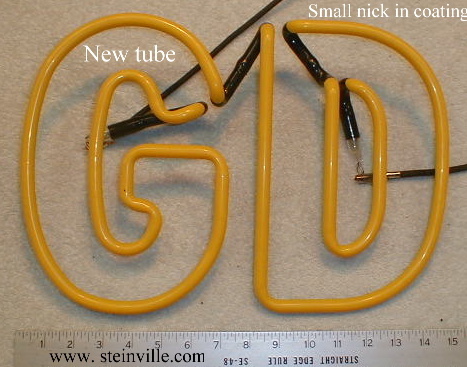 Big GD part for a Miller MGD neon beer sign, new tube!. Top tube for a Miller Genuine Draft Football neon beer sign. Outer border w/red arrow for Miller Lite Ready To Drink & Pizza neon signs. Ready with arrow neon sign part for a Miller Lite ready to drink sign. To Drink neon beer sign tube / part. Small yellow loop for a Miller Lite neon beer sign, fits around small lens. Outer yellow border neon tube for a Miller Lite A True Pilsner Sign like above. This is the grid tube that lights the "True Pilsner" lens above. Red ring part for a Lite true pilsner neon sign. Yellow wheat neon tube for a Miller Lite true pilsner sign. Yellow outer border for many Miller Lite neon beer signs. 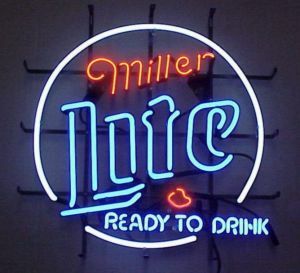 102 $Sold Fits neon signs like this..
Yellow border tube / part for a Miller Genuine Draft (MGD) neon beer sign. New border tube for a Miller Lite Miller Time can neon beer sign. Used Miller tube / part for a Miller Time neon sign. Dark red coated, fits sign #57 0BY186. Time tube / part for a Miller Time Lite C store (cold quick convenient) neon beer sign. Lights blue, fits sign #57 009196. Cold Quick neon beer sign unit / part. Convenient neon beer sign unit / part. Used TIME ! tube for some Miller Time neon beer sign. New grid / filler neon tube for the dual Lite / Miller Genuine Draft sign (lite side). 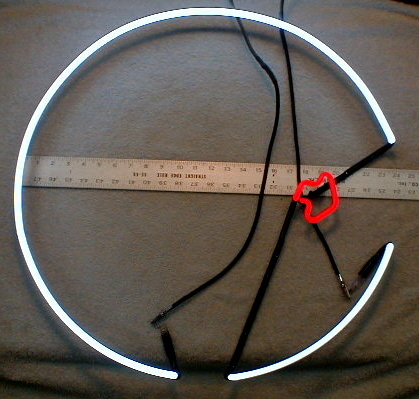 New grid / filler neon tube for the dual Lite / MGD sign (Genuine Draft side). Border tube for a Miller Reserve neon beer sign. Blue tube for a Miller Skyy Blue neon sign. Country outline for a Miller Lite Mexico neon beer sign. Last call neon tube for a Miller Lite Rusty's last call beer sign. 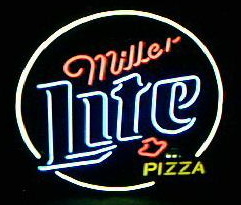 Left side border neon tube for a Miller Lite Miller Time beer sign. Brand new L grid for a Miller Lite 6' vacuum neon sign. 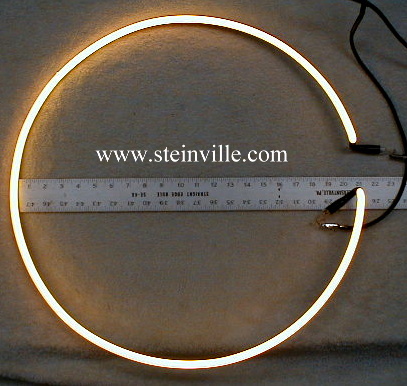 Brand new lower high light tube for a Miller Lite 6' vacuum neon sign. 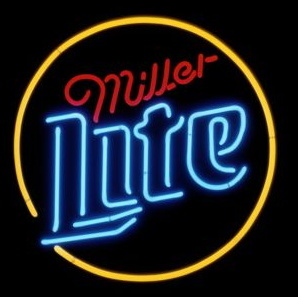 Genuine neon for a Miller sign. 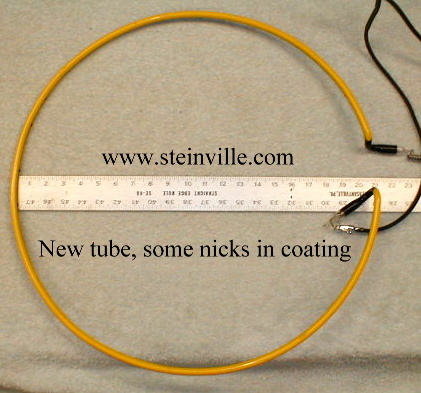 Strong tube with dark areas on the G & E (internal coating problem). Genuine neon with light curve. New yellow Genuine Draft neon, has scrapes in coating. 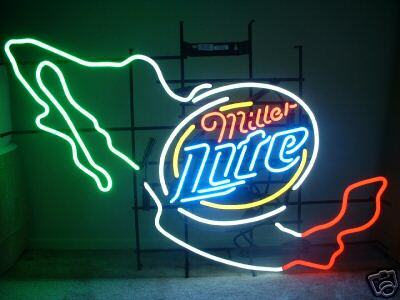 New Genuine Draft neon, lights white, Miller beer part 0AP-571. Fits the cactus and other signs. 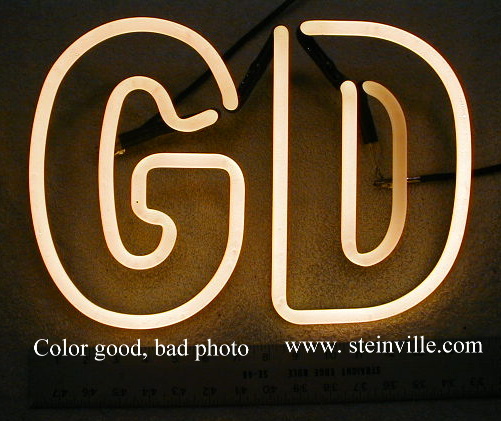 Used Draft part for a MGD neon beer sign. Used Draft for a Miller MGD beer sign. Bottom can tube for a Miller Lite "can" neon sign. Note part is pictured upside down. Part for a Miller Genuine Draft Baseball neon sign. Neon backlight grid for a Miller MGD guitar. Please look carefully and pick the one that best suits your needs.